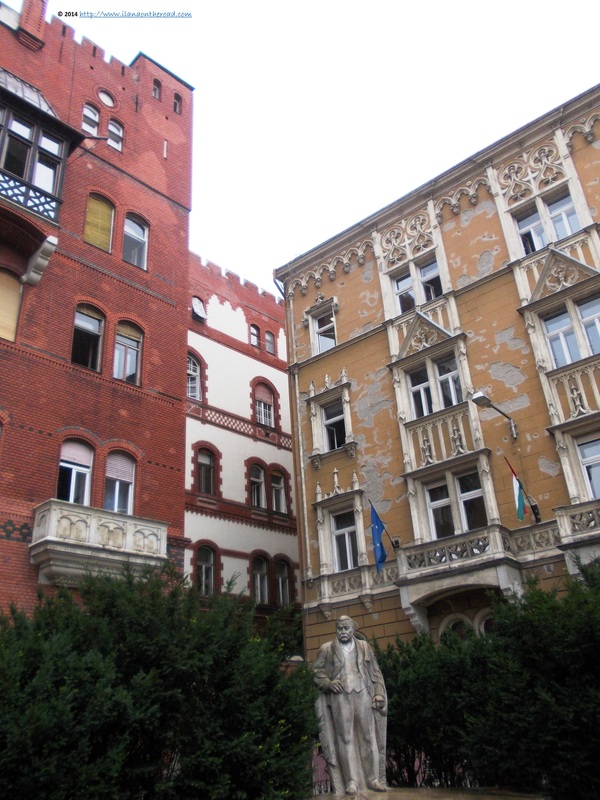 In the last ten years, Budapest changed a lot but still stays the same. Many of the people I used to spend unforgettable evenings talking for long hours in the bars near the Danube left the country, but meanwhile the city got new heroes and statues and the streets outside the areas of main historical - and political - interests - might look neglected a bit dirtier as before. The courageous spirit of the city is there as are the bullets from the 1956 Revolution left on the walls of some buildings though. After a long bus trip from Berlin, via Prague, I was finally back, and after a good night spent at my residence for the trip, Hotel Palazzo Zichy, I took a map and tried to revisit old places while always curious to discover some more new ones. 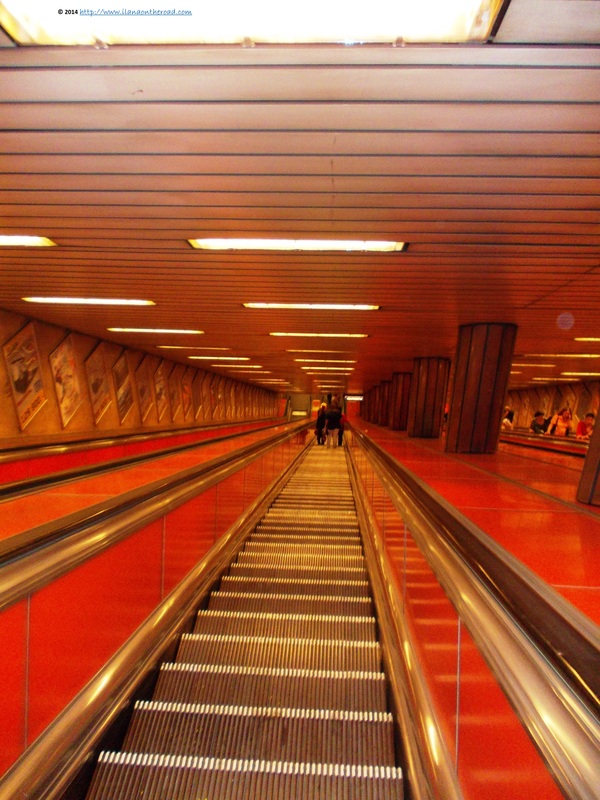 Regardless of how fit and well trained for intensive jogging you might consider yourself to be, sooner or later you will need to rely on public transportation. During this trip, I used a lot the metro, the oldest metro line in Europe, which has good connections, is mostly in time and fast. Groups of ticket controllers are out on the field from early in the morning, especially at the entrance or exit from the stations, but friendly and helpful with the lost tourists. Some stations look elegant and well maintained, some - especially the old dusty trains - remind me permanently that I am in a Central European country after all that was under harsh communist control. 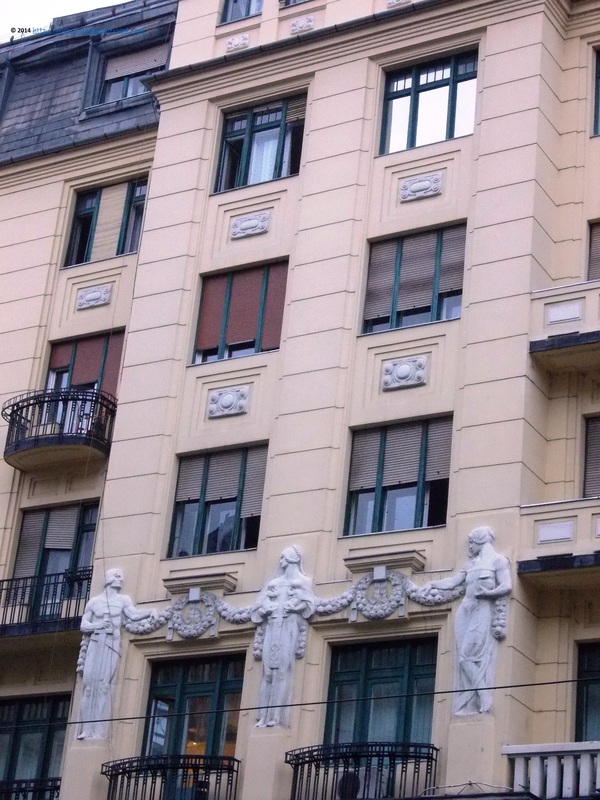 This is a short video I made while descending on the huge stairs, that strangely reminded me both of Kyiv and of London. Using the yellow taxis is the most convenient way for those not keen to commute too much on holidays, but one must be careful to check if is using a licensed taxi. Whatever the good and bad changes, Budapest remains creative, and between the massive historical facelift of the city - even as a local or a person well familiar with the country's history, I bet you will still need a lot of lectures to get the references to historical personalities and events outlined very often all over the city - the non-conformist minds left traces everywhere. Most of them do not have English translations, so all you have to do is to take notes and find the full history later on. I must confess that lost in testing various foods and enjoying the very warm summer time, my artistic activities were very limited this time. As during previous trips I marked all the important permanent exhibitions and museums this time I was, as usual, hungry for something new. 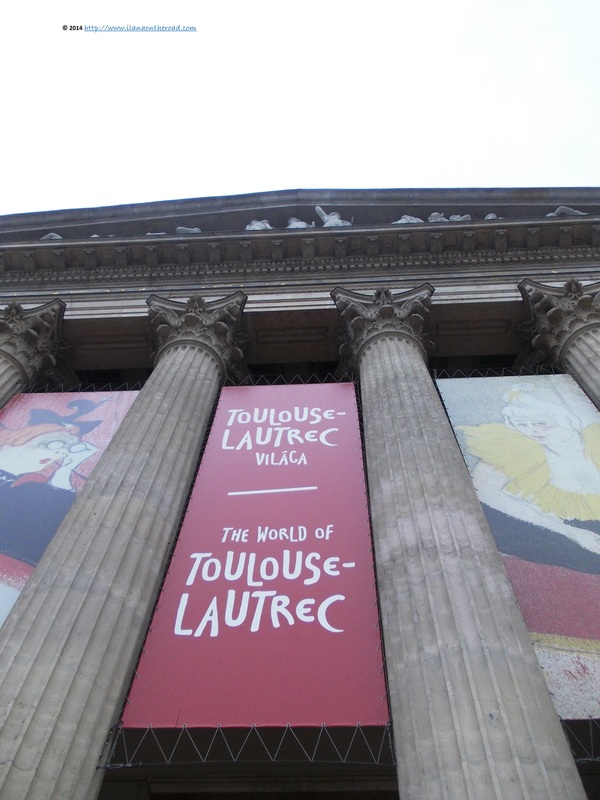 However, I could not resist the temptation to go to Toulouse-Lautrec retrospective exhibition at the Museum of Fine Arts, the first extensive display of the works of Lautrec in Budapest in the last 50 years. While walking to Oktogon area, one of the city's major intersections, on Andrassy avenue where the museum is situated, I passed by the controversial Terror House, hosted in the former headquarters of both the Nazi and communist secret service, offering an interpretation of communist too much infused by political opportunism, as well as many galleries and a good collection of Asian Art. Old Italian looking palaces situated on this street were either in various stages of decay or put on sale. Close to the Oktogon it is situated the Museum of Agriculture, hosted in Vajdahunyad Baroque Castle, built at the beginning of the 20th century, on the occasion of Millenium festivities, celebrating 1,000 years of Hungarian presence in the Carpathian basic. The Castle is surrounded by a garden, near a lake offering boats to rent during the summer and ice skating possibilities during the winter. 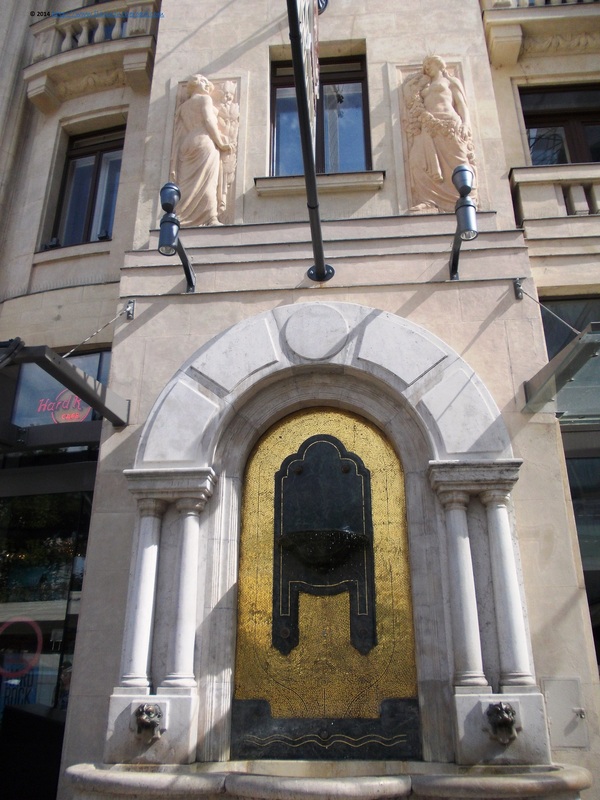 Those interested in learning fast about Hungary, can visit also the Museum of Popular Arts. 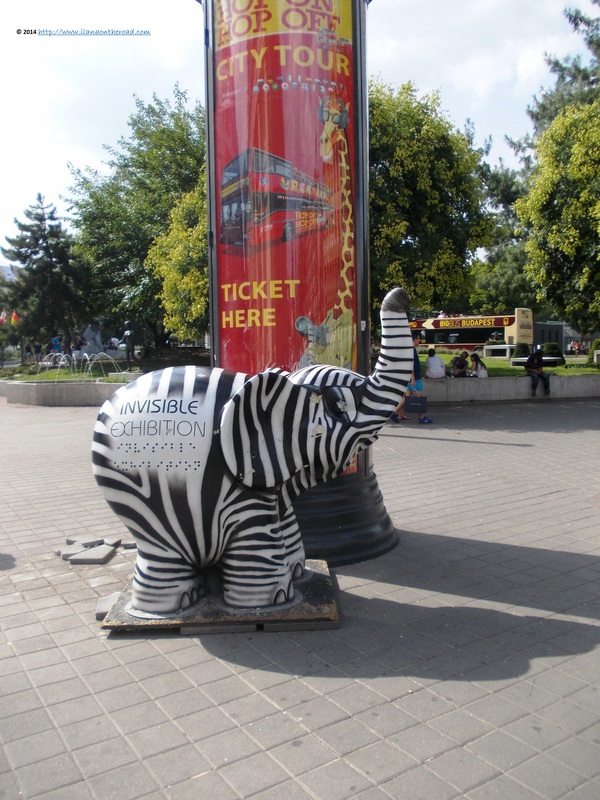 The Oktogon square is not only an important junction, but equally a crossing point of attractions. 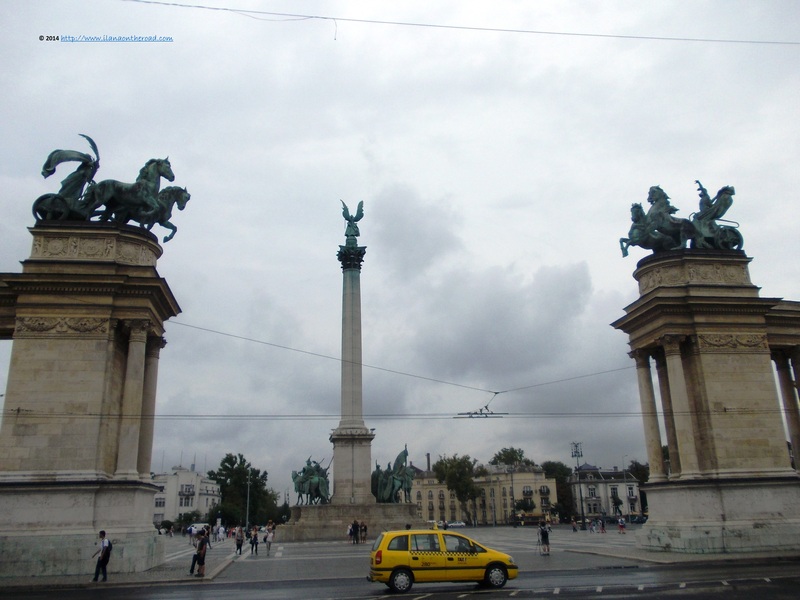 Besides the allegorical historical complex from the main the square, aimed to outline the strength and lineage of the Hungarian influence in the area, the Zoo is only a couple of steps away, and so are the Szechenyi thermal baths. One of the things I haven't done before was a trip on the Danube. 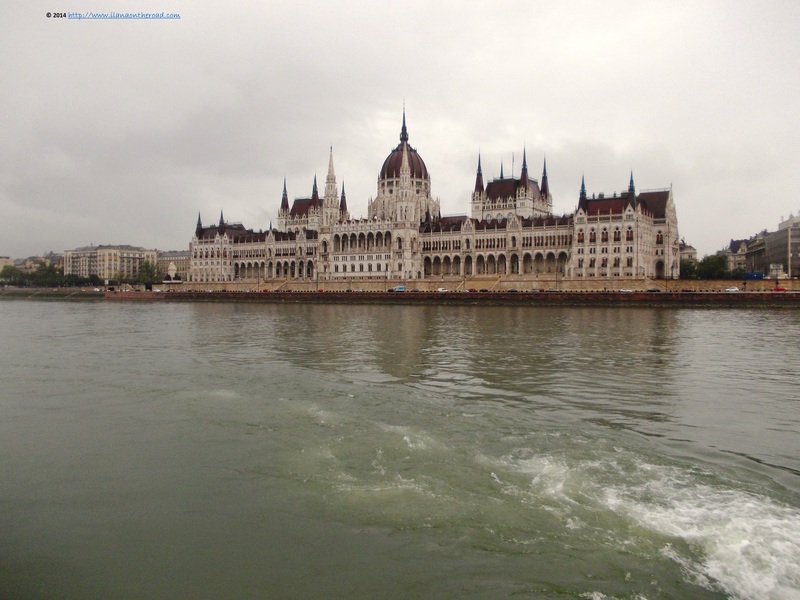 While returning from Szentendre and Visegrad - more about this trip in the next posts - I took a ride on the water which offered the possibility of a new perspective over both Buda and Pest. Here is a short video of this new adventure. The Parliament, which can be visited through various guided tours, was built in 18 years and is the largest and most famous building in Hungary. Those interested in the more or less recent history of the country should definitely book a tour. I wish I could have found an extensive guided tour into the architecture of the city. 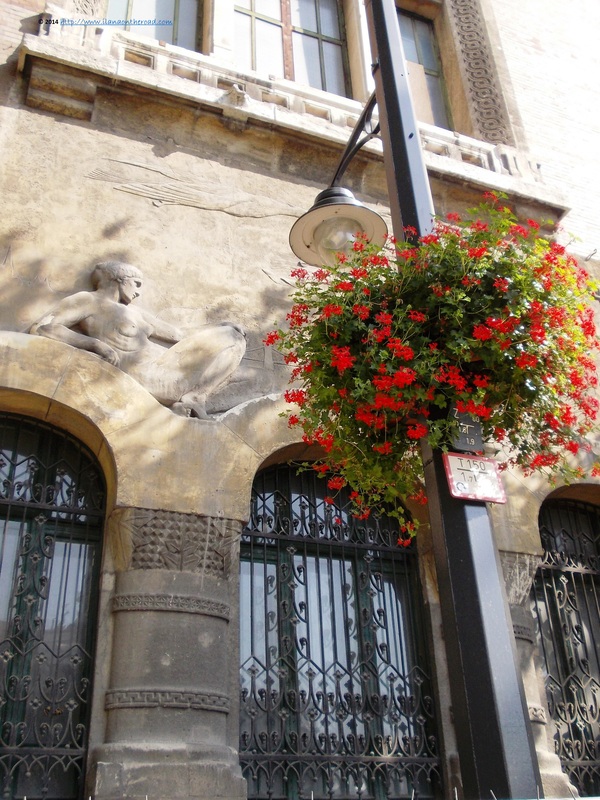 In order to catch up as many beautiful building as possible, it is very important to be very careful to all the details and look always high for spotting unexpected statues and details. 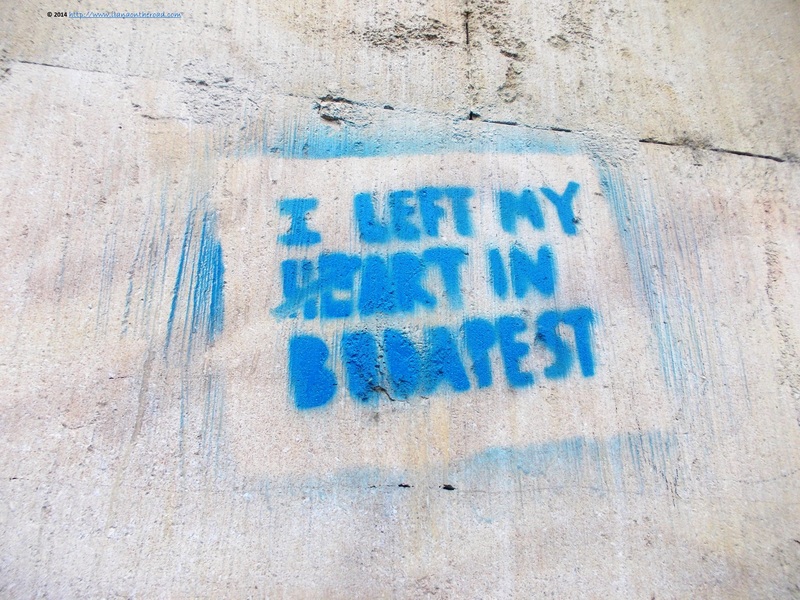 All those pleasant surprises are part of the mysterious way in which Budapest makes itself loveable with the same charm to the first or 10th-time visitor. When history has a sweet wrapping, it tastes even better. At the fancy Vorosmarty square I went directly to the famous Gérbeaud, where Sissy, the sophisticated wife of Emperor Franz Joseph and queen of Hungary used to treat her sweet tooth. 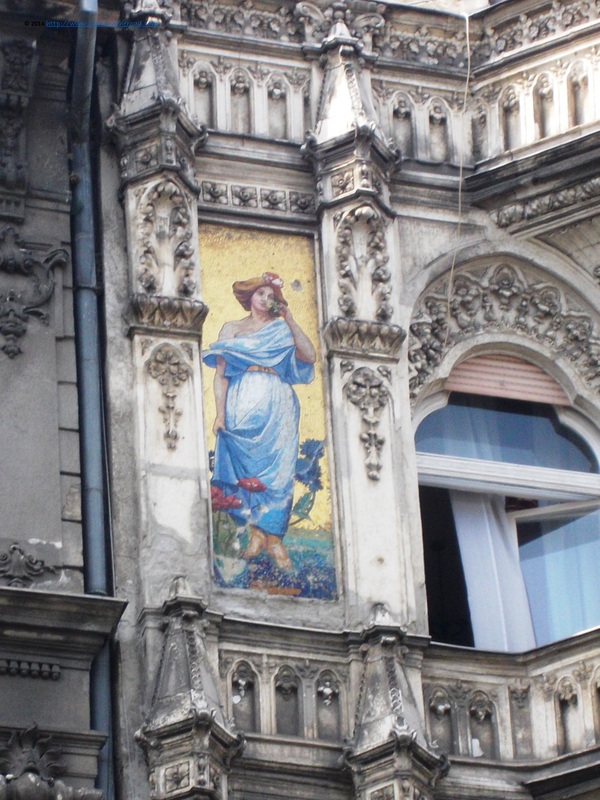 Created in 1858 by Henrik Kugler, it was sold to Emil Gérbeaud belonging to a long line of Swiss confectionery artists who turned it into one of the finest coffee house and pastry shop in Central and Eastern Europe. The sons of Gérbeaud left the country in 1945 after the installation of communists and the shop was took over by the state. 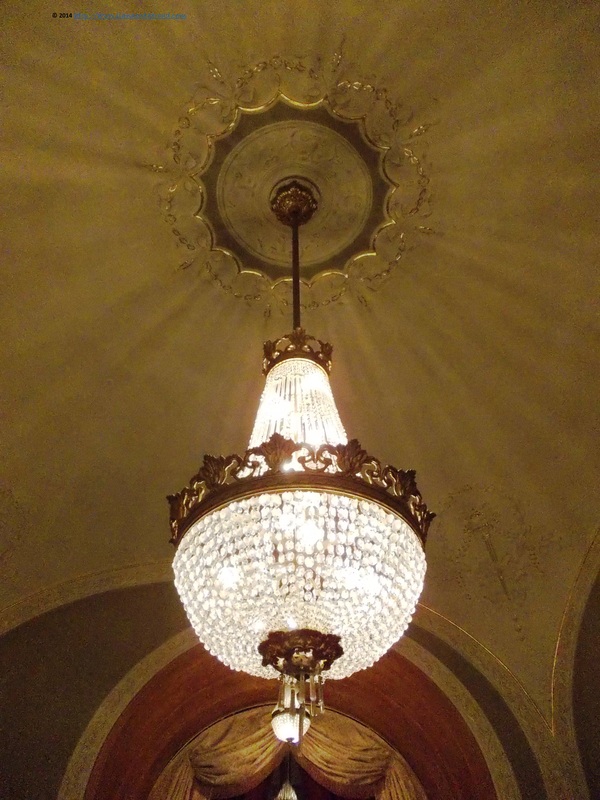 In 1997, it was dramatically renovated and embellished, and new wood panels and typical decorations were added. A new restaurant, Onyx, was created in 2007 who is a proud owner of a Michelin star since 2011. The coffee keeps selling the traditional Sacher torte and Dobos torte, as well as macarons of all colours and flavour combinations. Convinced that I can keep my head clear and my objectivity not influenced by rich historical evidences, I decided to have a tasty stop here. The prices are high, and the service is a big disappointment, although we arrived there 40 minutes before closing. 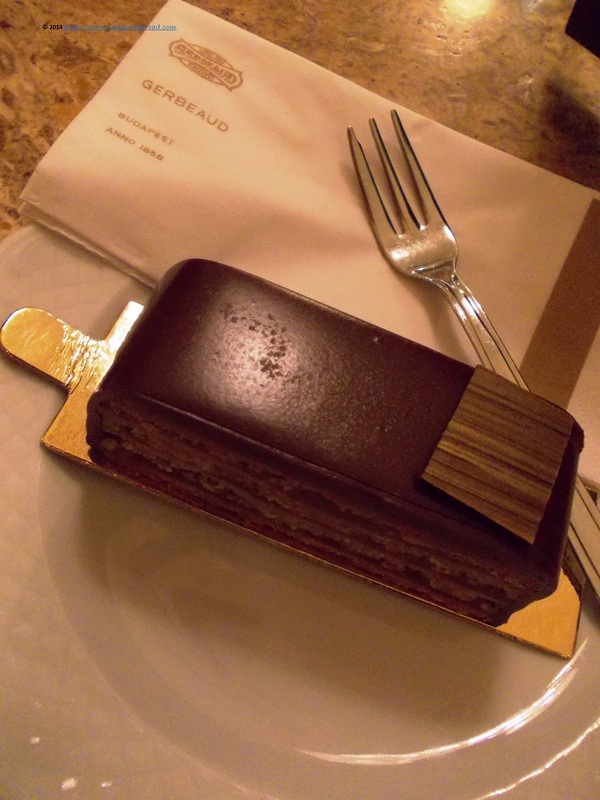 I ordered Gérbeaud's slice, that screamed pure sour cocoa from every bit. The layers of nutty and fruity cream were re-establishing the sweet balance. So much concentration of cocoa gives the feeling of full satiety. If I could not finish it is only my fault, I know. Either if I was looking for new architectural surprises or checking the gossips that a lot of vegan and vegetarian shops and restaurants were opened in the last year, the same feeling of surprise kept me company. Sometimes I felt that at a certain historical time, architects got together and decided to introduce into the life of the city all their dreams, fantasies and desires. The rest of us, talking pictures, passing by or even living in those buildings, we are just part of the constant audience of their secret life, without being left with a dictionary for translating this secret language. 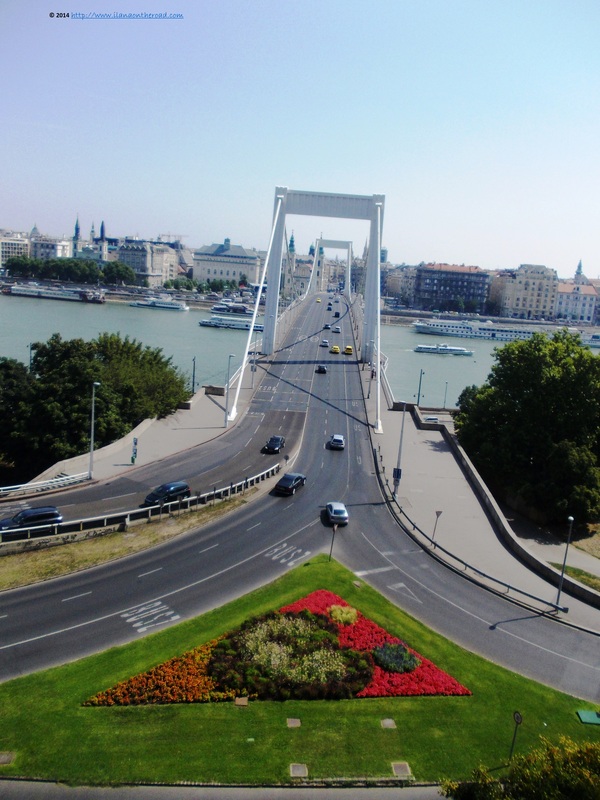 The Danube is crossed by 14 bridges, connecting Buda and Pest in many points. Most of them were built at the end of the 19th century, and still are important characters into the tourist and daily life of the city. 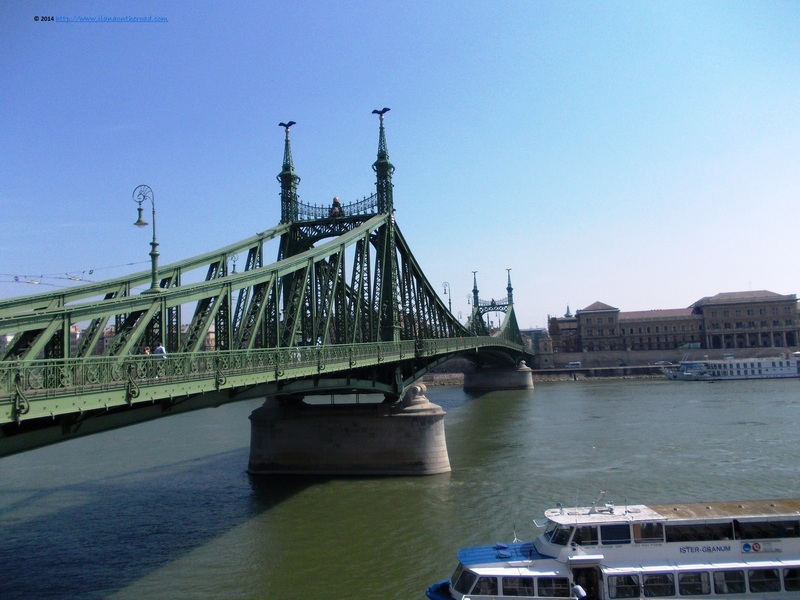 The bridges enforced the new unity of the city that was achieved administratively in 1873. Budapest, and Hungary in general, is famous for its hot springs, well known as tourist destinations but also for their health qualities. 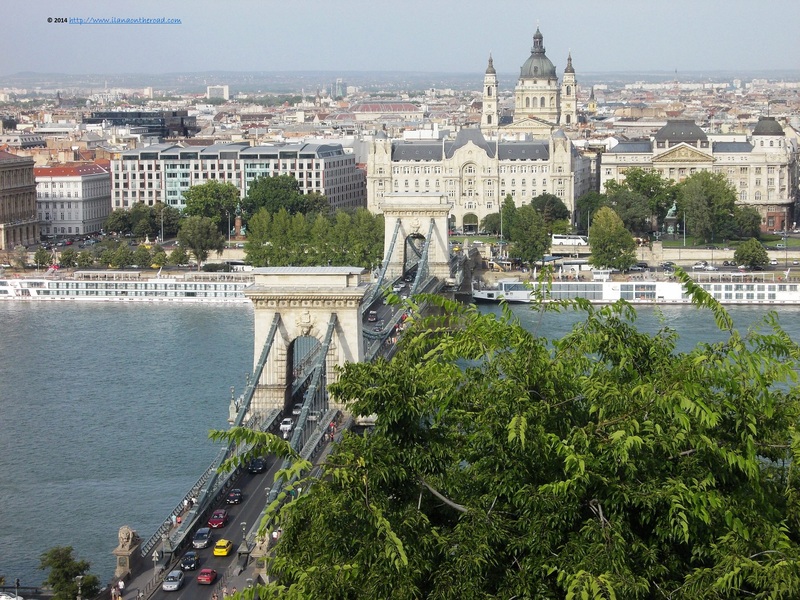 In Budapest only, there are around 118 natural springs. 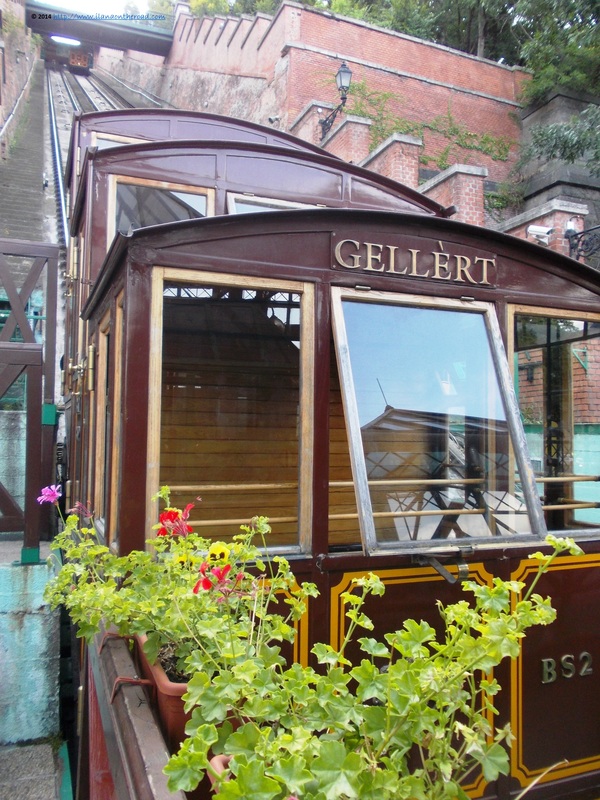 One of the most famous thermal bath is Gellert, inaugurated in 1918 and added since a big outdoor pool. 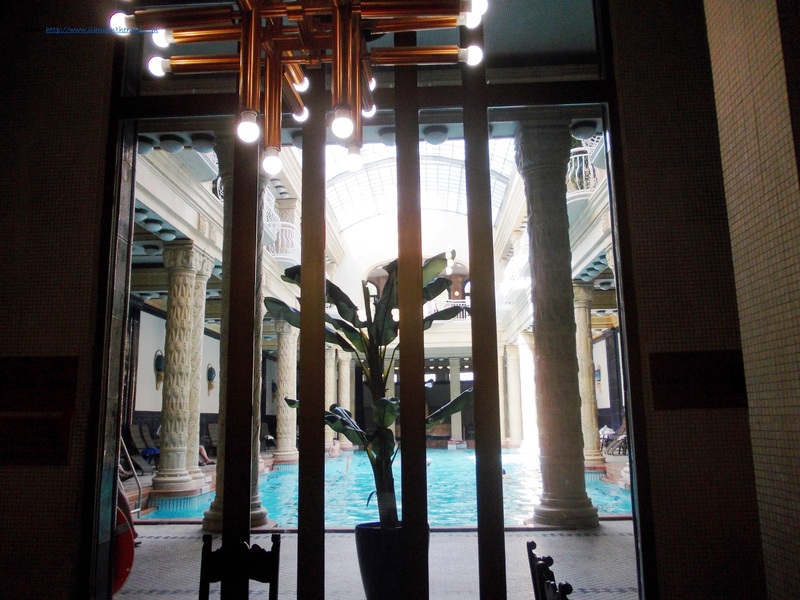 One of the most famous spa in Hungary, it used a water source that was known since the 13th century. The interior is at least as impressive as its history: massive Art Nouveau decorations, mosaiques, colourful stained glass windows reflecting the various natural lights. 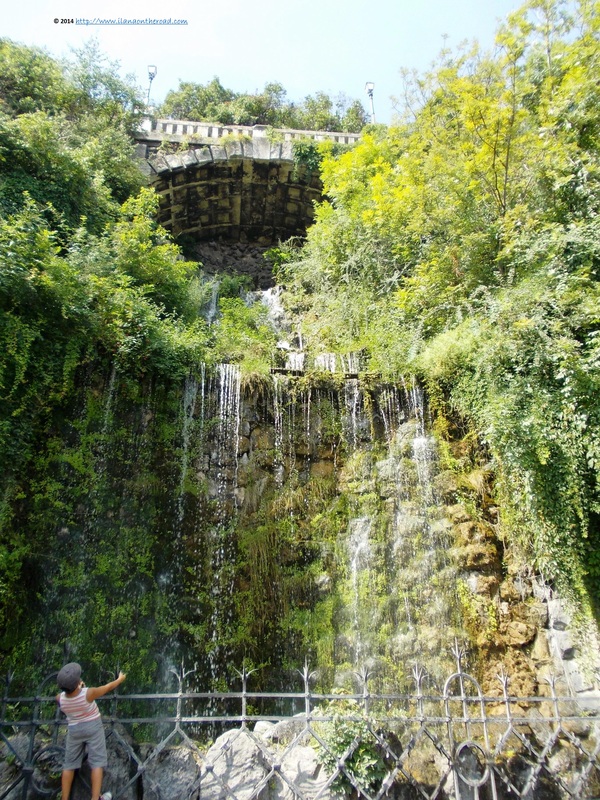 In the vicinity of the thermal baths building, facing the Erzsebet bridge, there is a little hill, with a natural waterfall where I climbed for a little bit, trying to find some coolness against the heated sun. 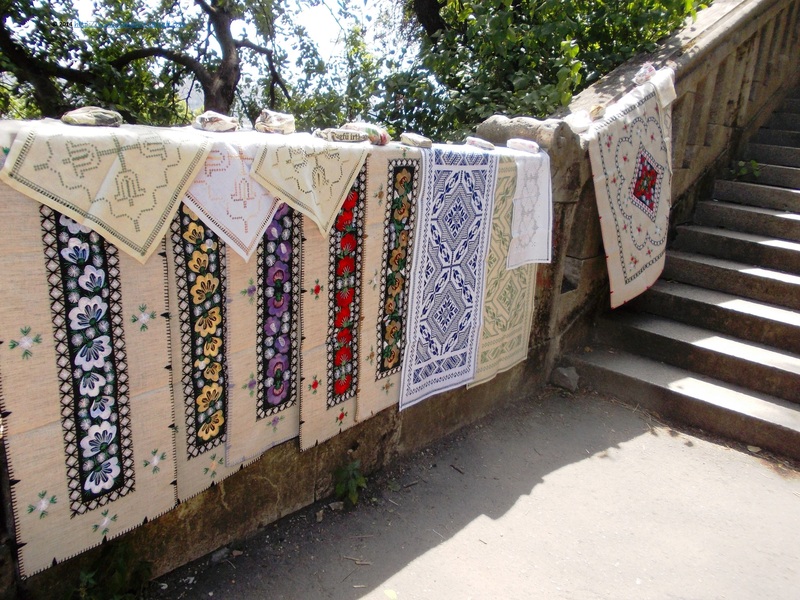 As in many such places in Central and Eastern Europe, I discovered a small improvised shop of an old lady selling various hand made traditional Hungarian products. Although she was not speaking other language but Hungarian, she was so friendly and good hearted that was about to buy her entire shop only for a smile. From the top of the little hill, both Buda and Pest looked busy, ready for a new day and week of work and very serious about everything on the agenda. Busy traffic both on the highway and on the water. An important part of my travels is dedicated to check and discover new local products. 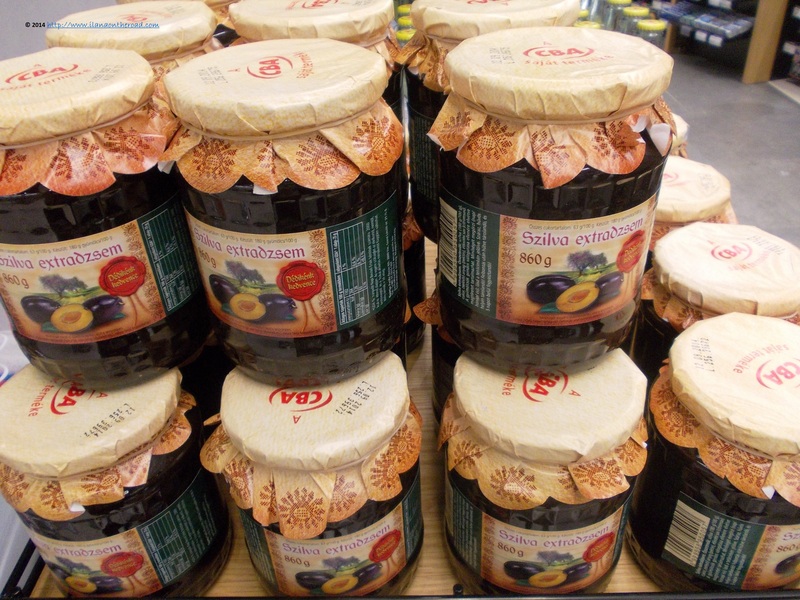 As I grew up with so many of them - the plum jam, eventually with some hidden nuts near many layers of flesh - I like to see if my beloved recipes are still popular. 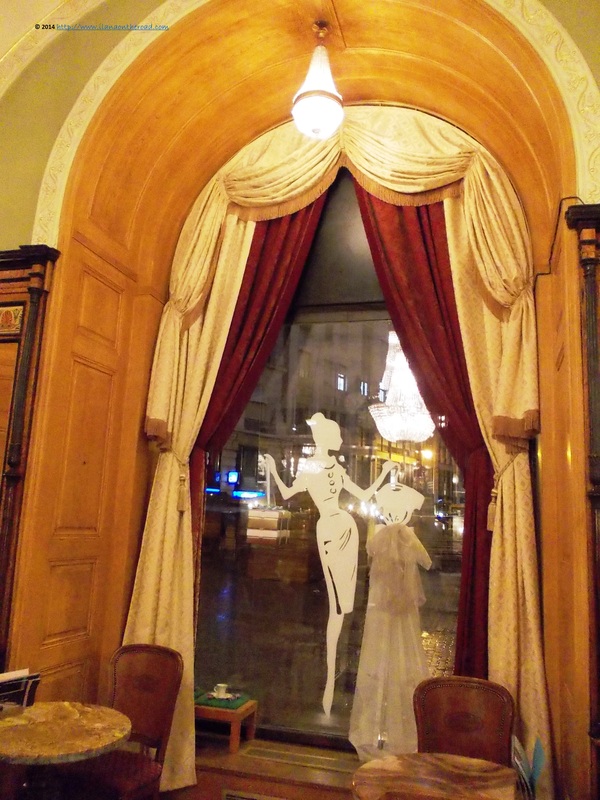 On Vaci utca (utca means street in Hungarian) which become too touristic, with predominantly Hungarian gourmet expensive restaurants serving goulash and paprika based meals, I made a long stop at Corso Gourmet. A special section of this huge shop dedicated to the traditional spirits, made of plums, as well as to the famous Unicum and the many fine wines, Tokaj included. 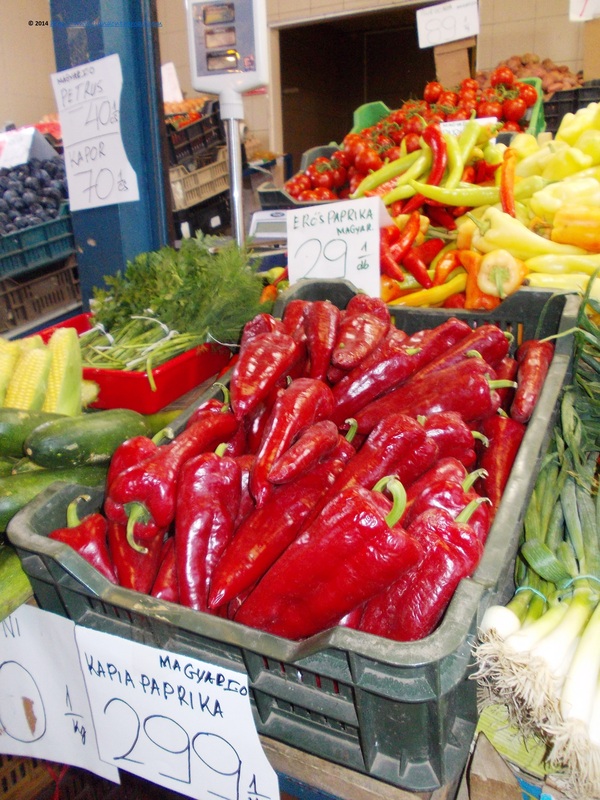 More than the elegant Corso, I enjoyed spending a lot of time at Vasarcsarnok, the Great Market Hall, at the end of Vaci utca, resisting painfully the temptation to buy a little bit of Kapia paprika, or some Szeged Paprika or maybe some fresh good looking melons or tomatoes. I left a bit disappointed and with a heavy heart, and only the beautiful ethereal apparitions on the top of the buildings near the Jewish quarter - an extensive account of the tour and Jewish life coming up next - made me feel better. 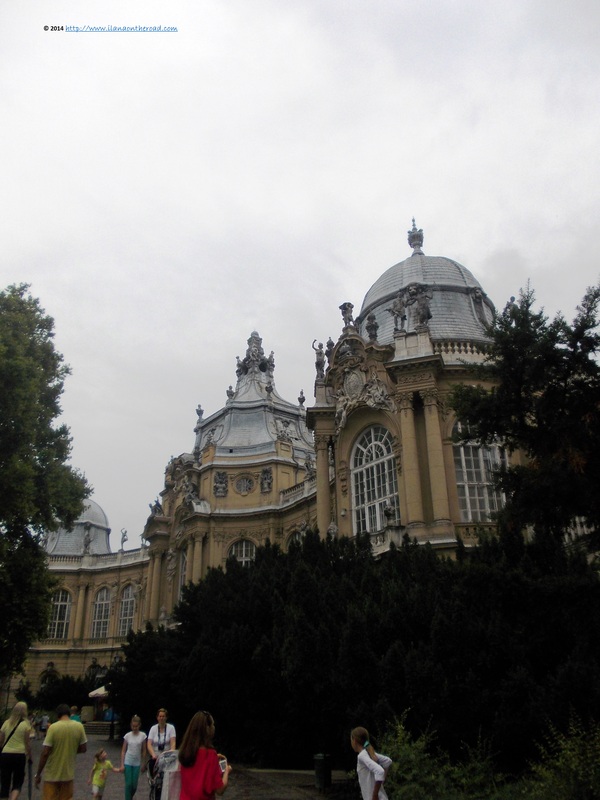 In the vicinity, the Hungarian National Museum can offer to the curious visitor another long excursus in the history of the country. Inside the Jewish quarter, between Kiraly utca and Dob utca, the Gozsdu courts are the newest attraction in town. 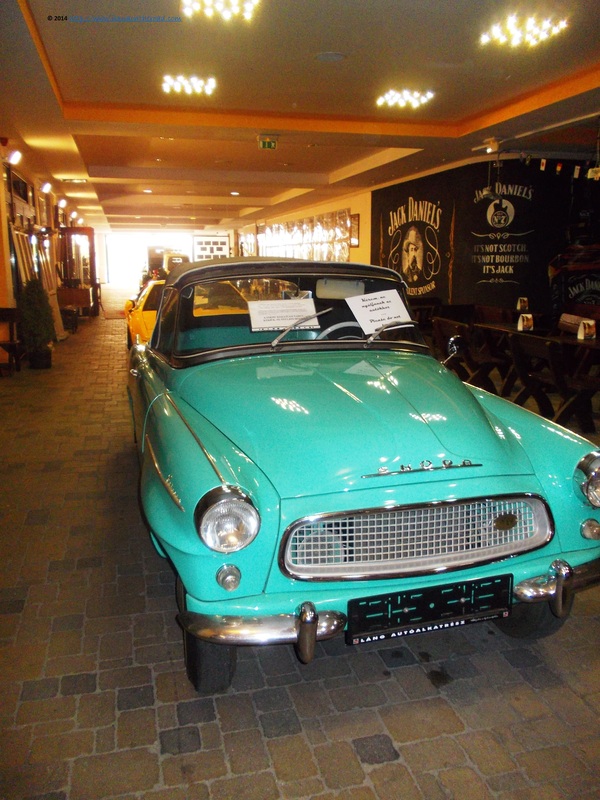 Formerly an abandoned area, it was turned into an attractive avenue with pubs, restaurants, small shops and workshops for creative people, as well as antiquities shops presenting, among other, old collection cars. Although I accepted for being out of time for too many artistic luxuries, I regretted deeply for not being able to attend this Invisible Exhibition where the participants are experiencing a small part of the daily life of visually impaired people. Not too much time for shopping either, although Vorosmarty Ter, with its tempting fashion avenue and shops and many restaurants calling my name for an after-shopping relaxing appeared very open in my walking plans. After my elegant afternoon tea at Kempinski Hotel Corvinus I was not very tempted to get some street food displayed there, but at least I had a look at some of the wooden traditional products offered to the tourists. 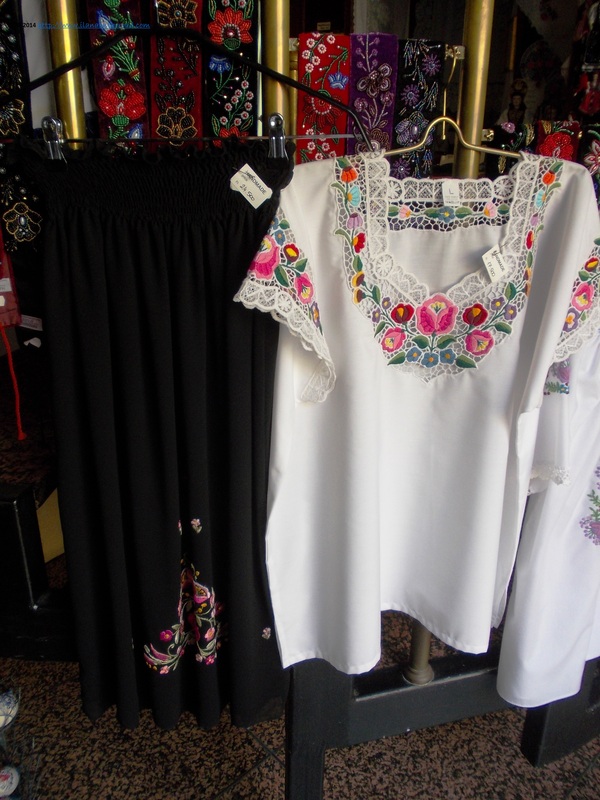 When it comes to touristic experiences, although the national currency is the Hungarian Forint, euro and also the dollars can be easily used in the touristic shops or for booking guided tours. The main languages are English, German and extensively Russian. 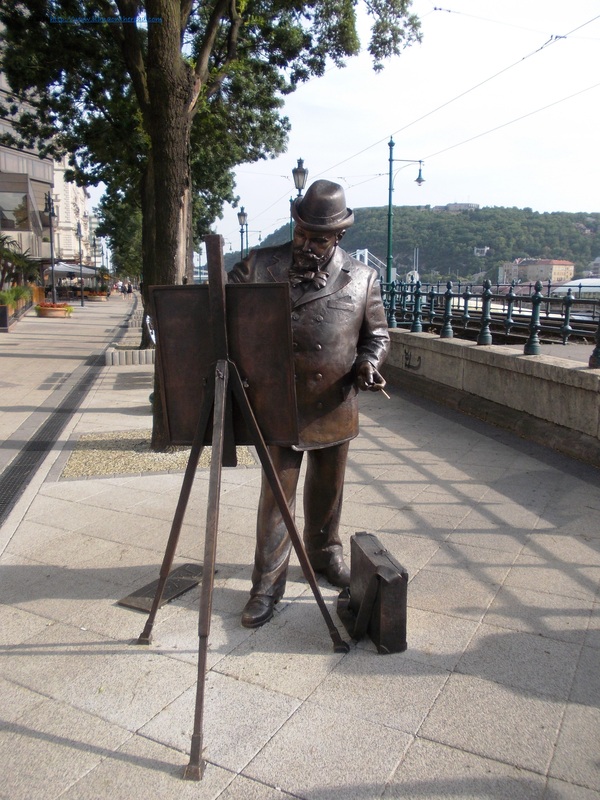 Late in the afternoon, when the heat is regressing, I always enjoy walking near the Danube, passing near the interesting statues or just looking on the other side of the Danube. On the other side of the Danube, it is the famous Buda Castle, where I was back one again, using the small mini train. It was first finished in 1265, and nowadays includes a complex of buildings from different historical stages, some archaeological sites, museums of arts, restaurants and small shops offering traditional products. If you were so unlucky to arrive when all the exhibitions and most of the attractions were closed, there is always something good left: a perspective over Pest, and a very good standpoint to observe the life of the city in the afternoon. As usual, Budapest was good to me, offering me the chance to know more of its secrets, while tempting me again to come back for finding out even more, maybe sooner than the last time. I left with the good feeling that, from time to time, it's good to be back in places that used to be home.